This item is selling for $25.99 on eBay. 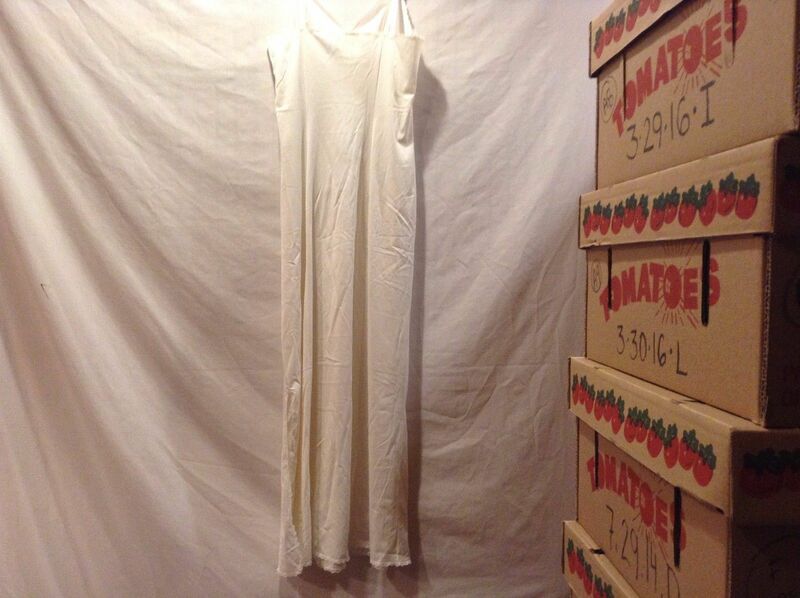 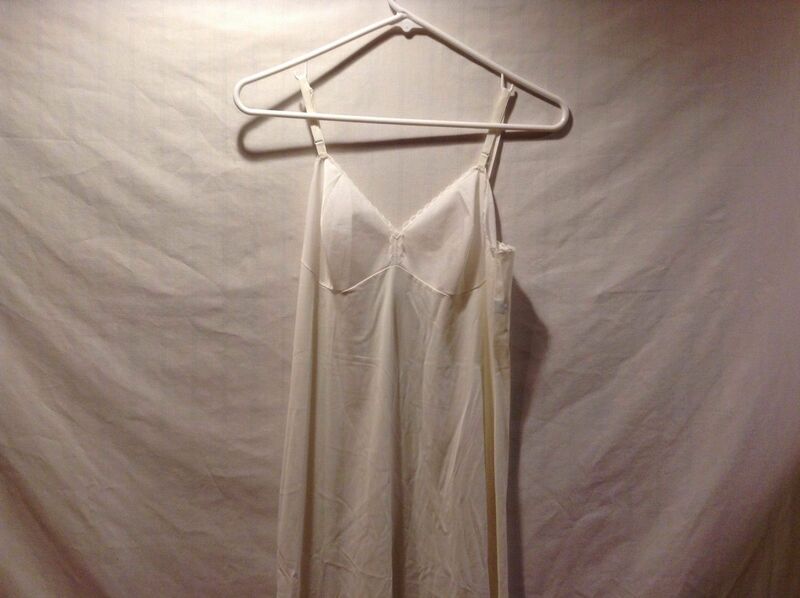 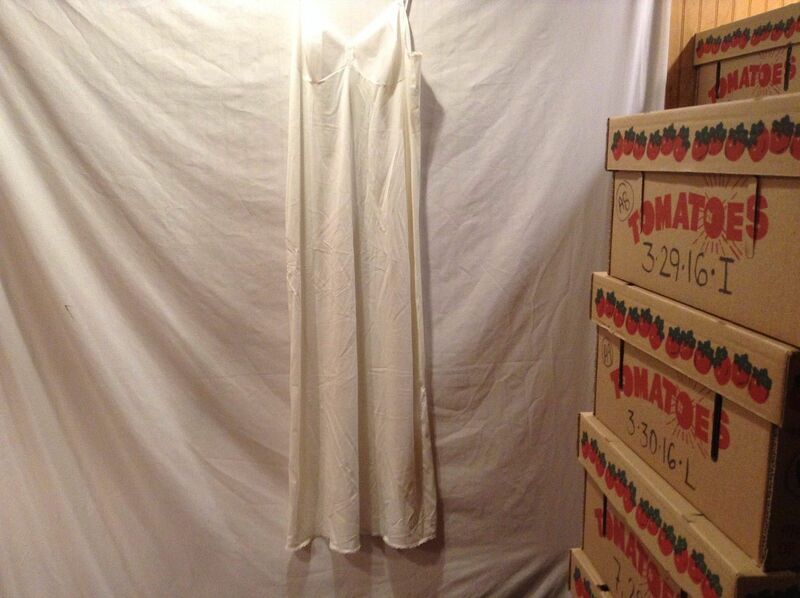 Long, full white slip with adjustable straps by 'Vanity Fair' in great condition! 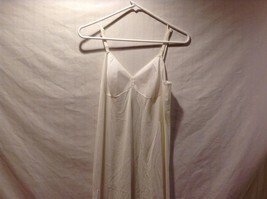 Sz 34LL! 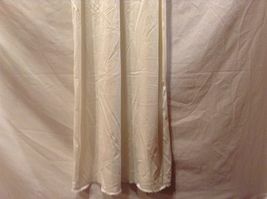 Material: 100% nylon. 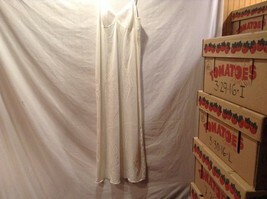 Length in back - 42"